This short post looks to understand the current financial regulatory environment within China, because there is a growing debate as to whether the decentralised and fragmented framework that currently exists is capable of protecting the world’s second-largest, yet arguably fragile economy. The overriding call is to create a ‘super-regulator’ who would oversee all the major elements of the Chinese economy; this is something worth considering, but the recent calls for the People’s Bank of China (PBOC) to take the lead may not be as optimal as it seems. This post, therefore, analyses the problems facing the Chinese economy, and why it has them, and ultimately suggests that a centralised financial regulator would be the best option, but that there must be conditions attached to make it effective. Currently, within China, the PBOC has a broad remit over the macro elements of the Chinese economy, but the detailed elements of overseeing aspects such as banking, securities, and insurance, are overseen by three different regulatory agencies (stemming from moves between 1998 and 2003 to respond to the increasing complexity of financial products and services). 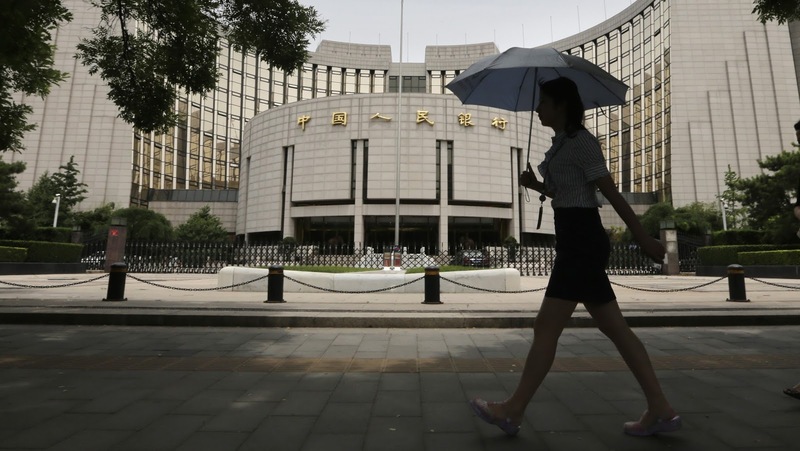 However, in response to the ever-changing financial world, and how that may affect China, there has been an increasing chorus of calls to give more defined power to the central bank. These calls are based upon understandings that each of these sub-elements of the regulatory framework are facing extraordinary pressure from having to regulate unscrupulous actors. The Chairman of the China Insurance Regulatory Commission stated that insurers engaged in speculation would face severe punishments, ultimately referring to those who operate outside of the welfare-creating mandates as ‘barbarians’. The Chairman of the China Securities Regulatory Commission, Lui Shiyu, described tycoons who unfairly profit from the stock markets as ‘financial crocodiles’ and vowed to stop them sucking the ‘blood of the retail investors’. The Chairman of the CSRC continued this colourful attack, describing some private companies who seek to work around the rules as ‘poisonous demons’. The reason for this influx is China’s moves to fend off the negative effects of the Financial Crisis, which saw it incorporate an ‘era of financial liberalisation’, represented by a massive financial stimulus, an increase in the acceptance of novel and exotic financial products, and a general lowering of regulatory oversight in the name of encouraging growth – the result was obvious, with the collapse of China’s Stock market in 2015 being rather inevitable. So, in response to the general increase in systemic risk within China, President Xi Jinping has made reducing this risk a key objective for 2017. This narrative is gathering pace, with the Governor of the PBOC stating that ‘regulators need to step up their coordination in scrutinising such products’, which was further consolidated by the leadership of the country. The increase in ‘shadow banking-based lending’, which is notoriously under-regulated, is proving to be a major concern for regulatory officials, and is beginning to prompt the practical realisation of the aforementioned narrative, with the leaders of each of the three regulatory agencies calling for ‘greater cooperation’. This seems to allude to one understanding, because the Governor of the PBOC is more interested in promoting the narrative that the three regulators must do more, rather than depriving them of the ability to regulate and transferring that power to the central bank – the only outcome, therefore, is what is being dubbed a ‘super-regulator’. This coalescing of the three regulators would provide a unified face to the ‘crocodiles’, which can only be a good thing, in theory. However, that theory may not necessarily translate into practice. The SEC, which is responsible for large swathes of the American Economy, is consistently being criticised for a number of issues, ranging from a lack of meaningful powers to the blight of the ‘revolving door’. The centralised Financial Services Authority, the regulator in charge of the U.K.’s economy in the lead up to the Crisis, was disbanded and divided in the wake of the Crisis, mostly on the understanding that a centralised regulator was not appropriate for the British market. So, there is no guarantee that a centralised, all-encompassing financial regulator would be suitable for the Chinese market, particularly when we understanding the incredible pressures facing such a massive and expanding economy such as China’s. Ultimately, if the leadership of China introduces such a regulator, then it must be accompanied by substantial powers. This narrative being developed by the leaders of the regulator agencies, that the offenders are ‘crocodiles’, ‘barbarians’, and ‘poisonous demons’, should translate into extensive powers to punish and make an example out of those who seek to plunder markets and leave without consequence. On the one hand, the single-party nature of Chinese politics makes this outcome likely, because there are not competing economic ideologies at play within the politburo (not on the surface anyway). But, on the other hand, the need to continually expand and develop the Chinese economy exposes the Chinese society to the iniquities of the marketplace which are a blight on Western Societies – the need for Britain to ‘grow’ in the wake of its secession from the E.U., the need for the E.U. to ‘grow’ without the power of the City of London, and the need for the U.S. to ‘grow’ on the back of its voting for protectionism, leaves all of these globally-vital societies at the mercy of the venal. Finding that balance between the need to grow and the need to protect for the future is the defining dichotomy of our time. Labels: China, Financial Regulation, People's Bank of China, Regulatory Framework, Xi Jinping.